Accessorizing your feet with toe rings may have become a fashion trend in the twentieth century but they are being worn by Indian women for centuries to symbolize their married status. Usually women in India wear toe rings in their second toe of both feet with similar or different colors. Silver is mostly the metal that is worn as a toe ring by them. Now that this has become a fashion trend and an accessory, the designs and styles they are available in are uncountable. You can dress up your feet with anklets and toe rings with an elegant shoe to complete the perfect look. The most common body part that is always ignored when it comes to hygiene and cleanliness is our feet. To us the main reason is while we do not look at our feet more often then may be nobody else does either. The assumption we make is very wrong as 1/3 of the people around us judge others while looking at their feet. I have a sibling who has the nature of looking at people’s feet to get a wild idea about their personality. If the women/men standing in front of her has feet that are clean from any disgusting thing you can imagine of the person has already passed her first test which is the personality and cleanliness test. In opposite cases the person fails if he/she has dirty feet no matter how expensive those feet have a pair of shoes on. As a result the first impression of a person is ruined without her even knowing or talking to them. Now I guess as people have discussed this nature of them with others, people have finally woken up from the assumption they were making all those years. Our feet are just as important as any other part of our body may be more important as they bare with all the dirt, sand and crap lying around on the floor. Once the awareness of feet hygiene came into practice beauty parlors came with pedicures for people who are too busy to keep their feet in tip top condition. The feeling is just like when you have your hands waxed or your eye brows plucked then you naturally go to accessorizing. The same need for anklets and toe rings came as a fashion trend that is still being followed. Where most people are busy dressing up their hands with bracelets and rings there are people who are getting creative by dressing up their feet with anklets and toe rings. Toe rings that are usually worn in the right hand are probably due to the fact that majority of the people are right handed but there is no hard and fast rule to wear them in a specific side or toe. Silver and gold is the common metals found in toe rings while precious stones, engravings and diamonds are fixed in toe rings for party occasions. 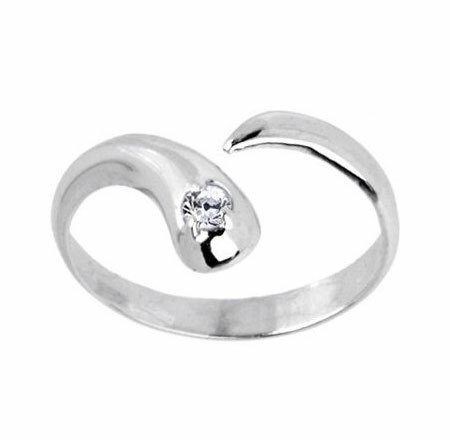 If you want to buy toe rings then diamond toe rings is the way to go. All you need is a diamond toe ring and a pair of elegant, strap sandals or flats to become a favorite of all those feet critics. 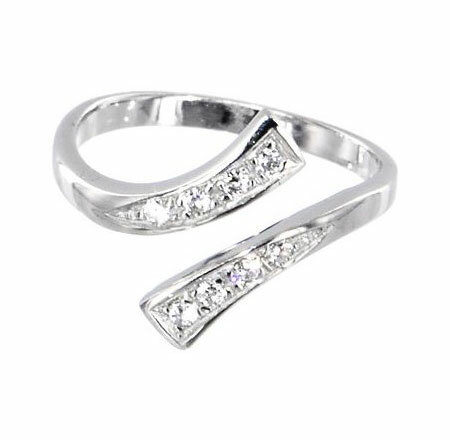 Diamond toe rings are available in stretchable and non-stretchable material to adjust easily in any toe without being itchy. You can have more than one toe ring but my advice is the simple the better. Accessorize yourself with toe rings and anklets to look good from head to toe, literally. These are hot, but I wonder if they wouldn’t be overkill. To me, a nice pair of strappy sandals and well-manicured toes don’t need diamonds to look good. …however, diamonds make anything look better. Toe rings are hot! Fabulous designs! And great blog as well, I am going to be a regular reader. 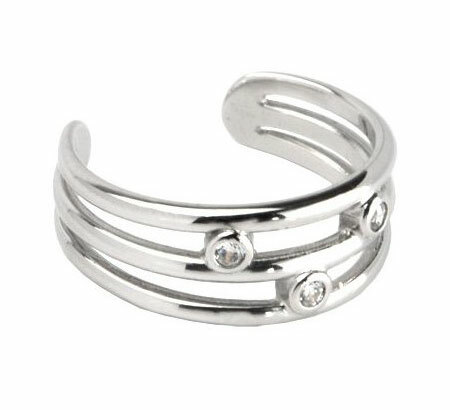 My wife loves her toe rings, I am going to have to get her one of these they are really stunning. These are lovely Toe Rings. I really love it. Fabulous designs great post keep it up. I doubt my girlfriend would wear them. It’s not the toe rings, but the sandals she doesn’t like. The rings are truly fabulous. Uniquely design yet varied from each other. Nice job!!! These are lovely Rings I really like the design, keep posting these designs! Love these toe rings. The diamonds makes them spectacular. Toe rings are so fun. I wonder if i can find this in rose gold somewhere. I really want one! I never see any fun colors though.